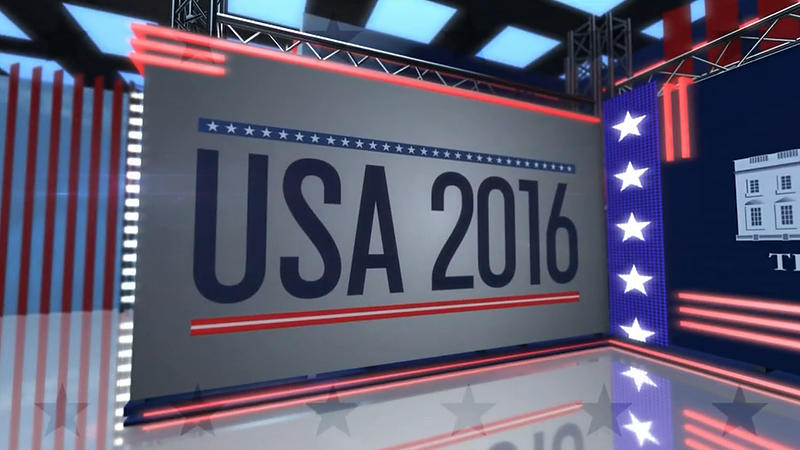 Over 84 million American’s watched Monday’s presidential debate between Hillary Clinton and Donald Trump, setting a new record for viewership. 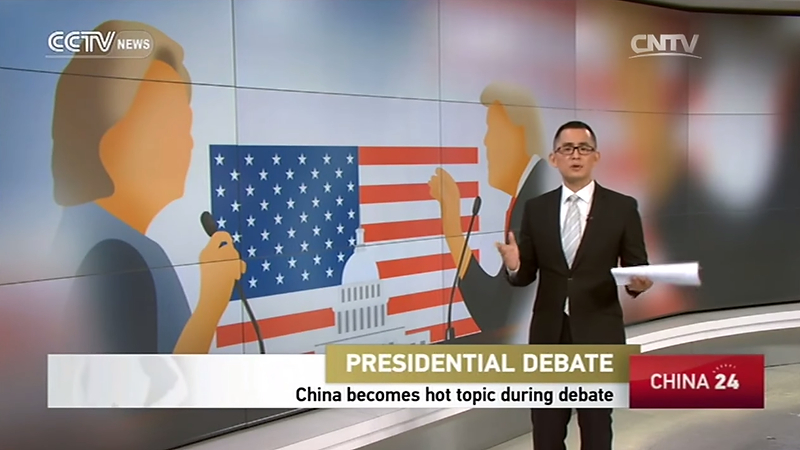 Internationally, many networks that otherwise would have only provided a quick story or recap of the debate went wall-to-wall with specials and simulcasts. Here’s a quick look at how some presented their coverage of the historic night. 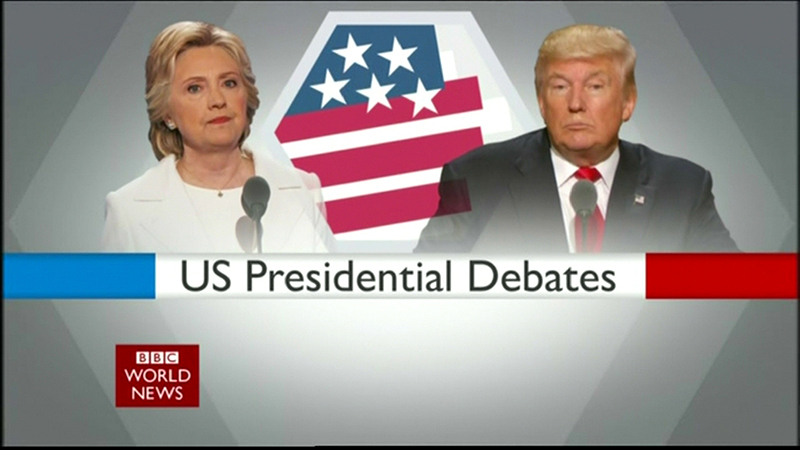 BBC used a hexagon look with generic candidate photos. 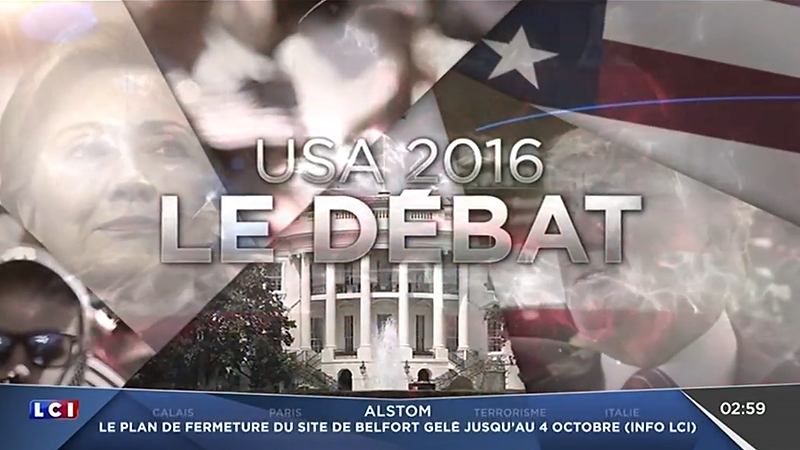 France’s BFM used an over-the-top look that may remind U.S. viewers of CNN’s glossy blocks. 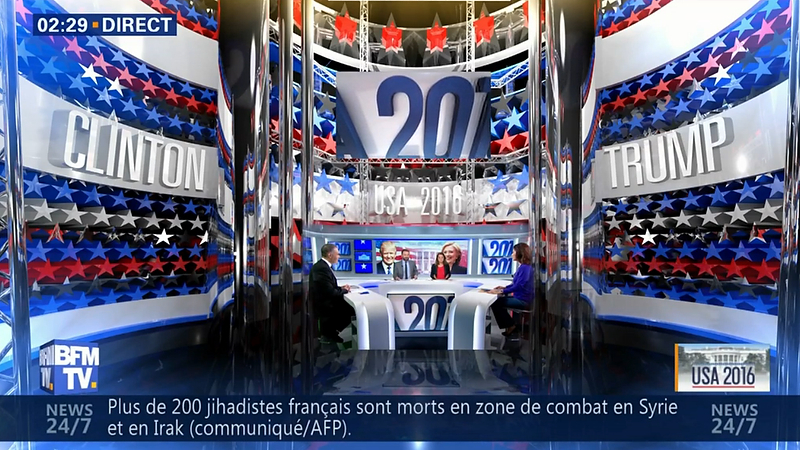 Studio wise, the network went with a completely virtual set with plenty of patriotism. Watch the open on Lenodal. 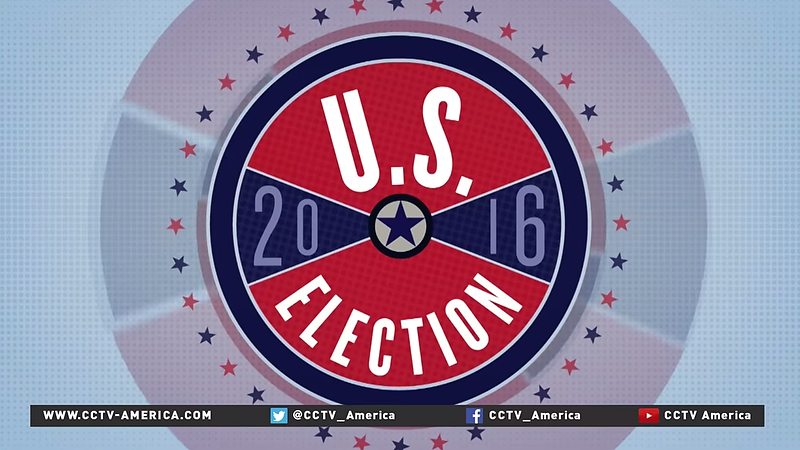 China’a English language news network, CCTV America, featured two illustrations of the candidates for its coverage.